My mother asked me to make her a few birthday cards to give out to her friends. This is one of the cards I made. 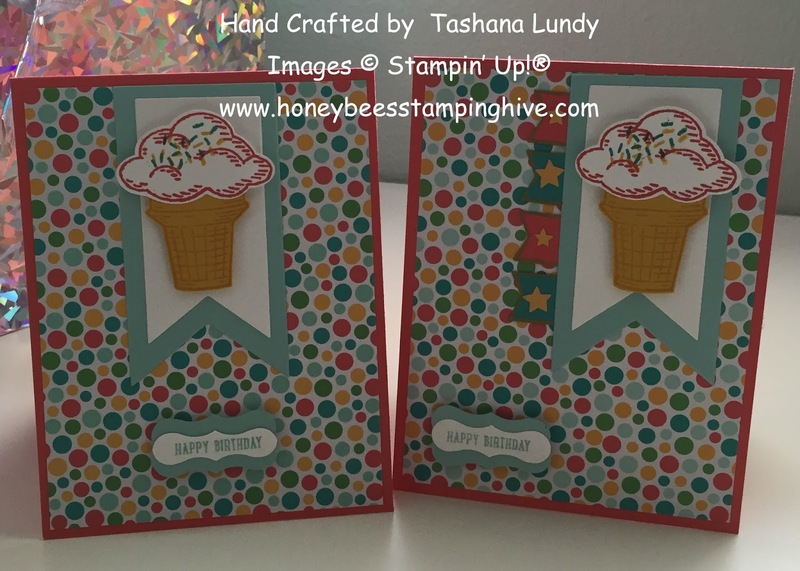 I used the Sprinkles of Life stamp set and the Cherry on Top DSP. I also used my Banners Framelits along with the Tree Builder and Banner punches.